It's easy to be mesmerized by new golf clubs boasting fancy-sounding technology. Some of it definitely does represent genuine innovation that will help you hit the ball farther and closer to the hole, and ultimately shoot lower scores. But a lot of it is just the same old stuff hidden behind cool new graphics. Here, as well as giving you the manufacturers' blurb on their own products, we'll add our own thoughts - Totally Independent Golf Equipment Reviews (or T.I.G.E.R. for short) - and identify the gear we think really will help your game and that which might just be an unnecessary, but expensive, addition to what you already have. If you'd like to get involved with the testing, click here to contact us. Ideal For: The D2 has a high-launch angle and reduces sidespin so is perfect for the mid to high handicapper while the D3 launches the ball a little lower and is slightly more workable. It should therefore work a little better for better players. 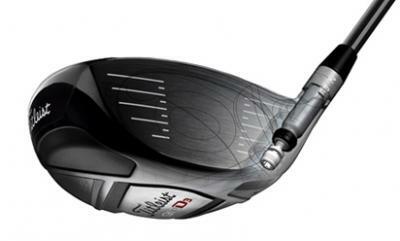 Briefly: Titleist's first move into adjustability was well worth the wait. The 910 has been out a few months and is enjoying a good deal of success on the pro tours and in the pro shop. It's a fantastic-looking club with a good many design improvements over the 909. There is no composite model in the 910 series (the 909 Series included the DComp) as Titleist believes they have all the bases covered with the two clubs. The 460cc D2 and 445cc D3 are high performance, pear-shaped drivers that deliver longer distance through a technologically advanced head design with a responsive, fast face insert. The patented, innovative, SureFit Tour, dual-angle hosel provides precise, independent loft and lie adjustments to fine-tune ball flight for more accuracy and control. High performance weighting increases stability and creates a low and deep CG for medium/high launch with medium/low spin. The debate over the effectiveness, practicality and value of adjustable drivers rages on (okay, it may not be raging exactly, but the subject is, er, being talked about). One golfer says they are an important technological breakthrough and represent major innovation, another says there's really no need for adjustability, it's all hype, and that golfers should just test several non-adjustable drivers and buy whichever one works best for them. There is a lot to be said for approaching the tee with the confidence of a man who has hit the same driver well for months, and who doesn't even have the opportunity to second-guess himself about the weight distribution/swingweight/loft/lie/face angle of the club. I know several golfers who would rather not address the ball questioning whether or not they could or should have set up their driver differently today. There are just too many variables for them. They have enough to think about already without the possibility that their driver might actually work better if the face were a degree more open, the lie a couple of degrees flatter, there was a degree less loft, and six grams more weight in the heel, etc. Also, a number of clubfitters question whether the amount you are able to adjust certain aspects of the club actually makes an appreciable difference, anyway. There is also, however, much to be said for having the option to adjust when you feel you're swinging slightly differently than you were the day before, the course you are playing rewards a certain shape of shot off the tee, or there's a certain wind howling across what you consider the most pivotal hole. 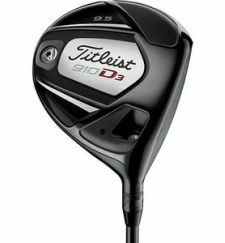 Whatever your opinion, there's no denying SureFit Tour and Titleist's 910D2 and 910D3 drivers are a significant addition to the world of adjustability. With three possible adjustments to the standard loft (-.75°, +.75°, and +1.5°) and three possible adjustments to the standard lie (-.75°, +.75°, and +1.5°), you can set the club up in one of 16 positions (magnify the grid below and to the left) - more if you play around with the shaft. Knowing there would definitely be a suitable combination of loft and lie in there for me, I wasn't so concerned with the effect that adjusting the SureFit Tour hosel had on my shots (I found I was happy with it set in the stock A-1 position, but also had some success with C-3 - half a degree more loft and half a degree more upright) as I was looks, sound, and forgiveness. The best word to describe the 910's look is 'sleek'. There's some grey and red on the sole, and a white alignment arrow on the crown, but most of the clubhead is black. The hosel is black too, and if you choose the mostly black Aldila RIP 60 shaft or Mitsubishi Rayon Diamana 'ahina 72, and a black Titleist Tour Velvet 360° grip, then the club is going to look...black. The sound is fantastic - the loud titanium crash all drivers should make - and the head as forgiving as you have a right to expect. Thanks to the ultra-thin face, variable face thickness, and the proprietary bezel weight located deep and toward the back, the clubhead feels remarkably stable and you don't lose a lot of distance by missing the sweetspot which, incidentally, is 15% bigger in the D2 than the sweetspot on the 909 Series, and 10% bigger in the D3. As for differences between the D2 and D3, the former has the bigger head and launches the ball a little higher with less sidespin. It is therefore a better choice for the mid to high handicapper. You can work the ball a little easier with the D3 which sends the ball off on a lower launch angle, and is perhaps more suited to the better player. Available for purchase seperately is the SureFit Tour Weight Kit which allows you to alter the club's swingweight. 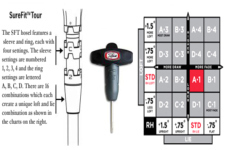 The kit comes with 2.5g, 7.9g and 12g screws. Briefly: There are a few golfers at either end of the ability spectrum for whom the Anser will either provide insufficient game improvement features and playability, or too many that sacrifice workability. For the vast majority of us in between, the Anser might be the ideal iron and is definitely worth testing. 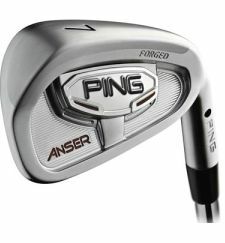 Ping's first forged design in more than 40 years, the Anser carries the same name as one of the early iron models Karsten Solheim produced before he transitioned to the popular investment-casting process. The newest version pushes the forging process to create performance benefits not previously associated with a forged club. To create unequalled forger-iron feel and forgiveness, engineers combined an 8620 'carbon' steel body with a dense tungsten sole and machined grooves. For a softer feel, they added a hollow-sole cavity, which also positions the CG low and back for higher-launching shots. The progressive set design offers long-iron forgiveness and short-iron control. Ping's recent move into forgings seems almost as alien as Mizuno's move into castings was in..um..er...a few years back. It somehow doesn't compute. The first irons Karsten Solheim, the founder of Karsten Manufacturing and the Ping brand of golf clubs, made were forged but after introducing the K-1, the first investment-cast iron, in 1969, he switched exclusively to cast models. After that, the manufacturing process became more or less synonymous with Ping. This iron, given the name of the company's best selling putter and one of its earliest irons, looks like a Ping club in every way with its large cavity, thickish top line, and the now-familiar hosel notch which enables clubfitters to bend the face for the desired loft. It looks forgiving, just like every other Ping iron you ever saw, in fact. But this one feels ever-so-slightly different. 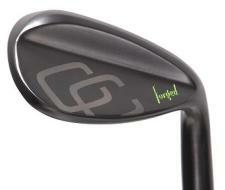 The Anser is forged remember, from 8620 'carbon' steel, which makes impact feel softer than it does with cast irons. Non-golfers and beginners will think you demented for saying there's a difference, but those who have hit hundreds of thousands of golf shots will certainly perceive it. Impact and compression just seems to last that fraction of a second longer. The sound is slightly deeper, less...pingy. As for performance, the first thing to note is there is no loss of forgiveness. Forged clubs are still largely considered the tools of the scratch golfer who worries less about how an off-center hit is going to behave than he does about how all his on-center hits are going to feel. But as you'd expect from a Ping club, bad contact is not heavily punished. The tungesten weight in the sole makes it easy to get the ball airborne, though I didn't notice the ball flying significantly higher with these than with irons with similar lofts. The sole is wide enough to prevent digging, but not so wide you can't hit stinging, penetrating approach shots. Anser irons have less bounce than is common (the 3-iron has -3° of bounce while the Callway RAZR X Forged 3-iron has +2°. The Anser 7-iron has 5°, the RAZR X 6°) which means you can nip the ball of fairly tight lies and out of bad lies easier than you probably can with your present set. The lofts are quite strong - 46° for the Pitching Wedge, 33.5° on the 7-iron - but if that doesn't work for you, you can always bend the face. I'm fine with it. Like Par, the number on the bottom of the club is just an arbitrary figure. The bottom line is, the Anser is as good-looking a club, as soft a club, and almost as forgiving a club as Ping can make. It's going to tick an awful lot of your boxes and, unless you're a touring pro looking for a classic blade or a 36-handicapper in need of some super game-improvement, then this could very well be the Anser for you. Available in: 52° loft 12° bounce, 56° loft 10° bounce, 60°loft 8° bounce. Briefly: A handsome club for sure, but the Vintage Forged isn't all about looks. Unless you have an inexplicably close bond with your current wedges, I'm sure the Vintage Forged will help get you up and down more often than you do now. Soft forged feel and consistency is the benchmark we set for our Vintage wedge. The unique triple grind sole, and heavier head weight provide optimal clubhead control from all points around the green and in the sand. Built stock to 35.5” in all lofts to allow for one wedge length and one set up position. Customization is available in length, loft and lie. Equipped with a True Temper Dynamic Gold shaft and Golf Pride custom Tour Velvet grip. Carnahan has worked at custom club-builder and distributor Pinemeadow Golf since 2007, and formed his own brand, C. Carnahan, a year later. His first products were the Insignia line of putters which were followed in the summer of 2009 by the Vintage Forged Wedges. Having played the game professionally, it's probably no surprise Carnahan designed a club that looks neat and unassuming. The absense of gimmicks and fussy graphics gives it a decidely old-school look that will almost certainly appeal to traditionalists. If Bobby Jones and Walter Hagen were still alive, they would appreciate the design of the Vintage Forged Wedge. But the old-school look wouldn't be enough to guarantee success if the club didn't perform. Carnahan doesn't have the marketing power of the big boys, but if he did it's conceivable he could sell boat loads of these clubs. 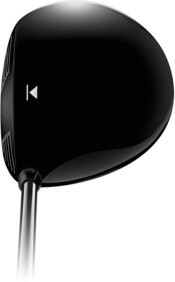 I'm as comfortable and confident hitting it as any other wedge - Cleveland C15 and Vokey Design included. I like the extra weight in the head (2g in the 52° and 56° clubs, 3g in the 60g) as it facilitates coming down aggressively into the sand yet popping the ball out quite softly. And the sole design gives you some nice versatility from various lies both in and out of the bunker. Just about the only thing I didn't like about the clubs I tried were the white grips which certainly weren't old-school. I don't think you have to be terribly unprogressive or too much of a conventionalist to prefer black grips. Even Rickie Fowler has black grips. That's a trifling matter though, and certainly not something to get in the way of a wholehearted recommendation. I mean, I could always change them.